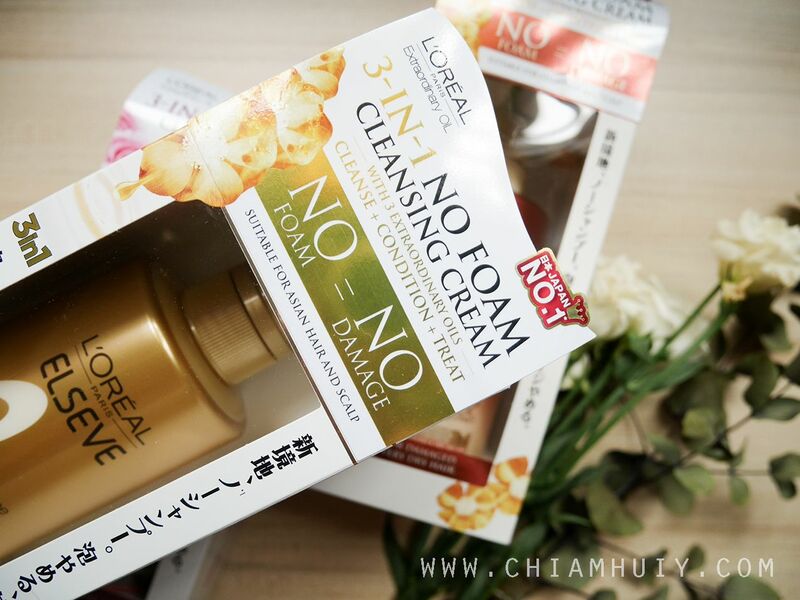 The first time when I was introduced to the concept "No-Foam Cleansing Cream", I was very much clueless about it. That was barely few months ago and now this "no foam" idea is the most in-trend concept. I wanted to share with you this non-foaming cleansing cream/shampoo that I've been using since I got my hands on it (bye normal shampoo! 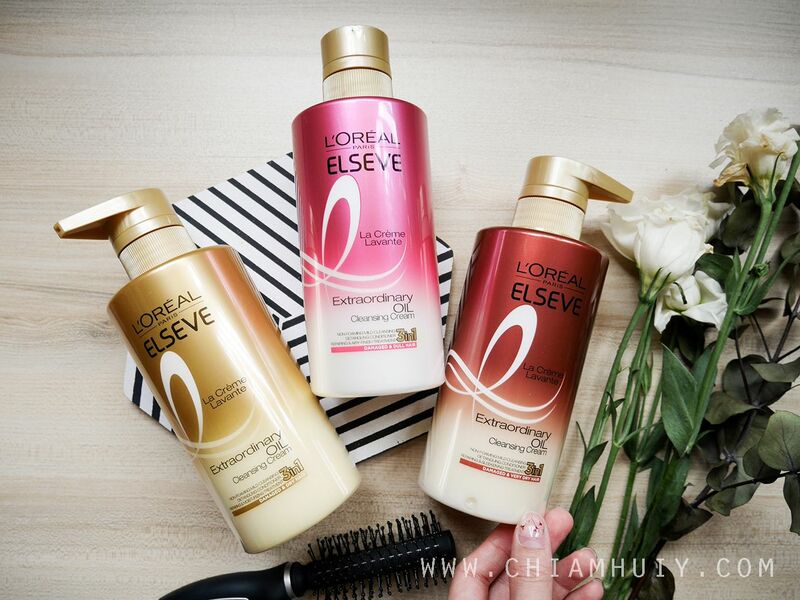 ), and show you the difference between a conventional shampoo and the L'Oreal Paris Extraordinary Oil La Creme Lavante 3-in-1 No Foam Cleansing Cream. 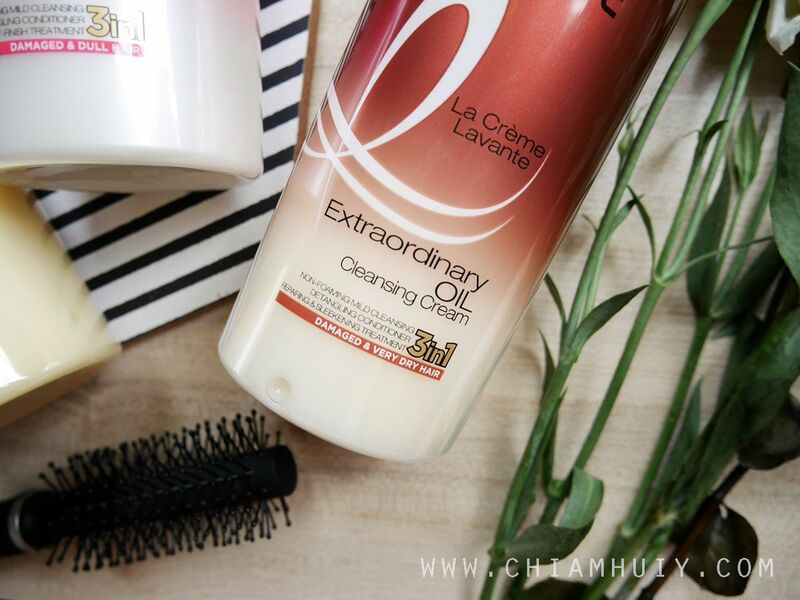 L'Oreal Paris Extraordinary Oil La Crème Lavante No-Foam Cleansing Cream can be said to be one of the latest non-foaming cleansing cream/shampoo found in Singapore. In fact, other than Japan, Singapore is the second country in Asia to lead this no-foam trend! I get tangled hair WITHOUT FAIL when I’m using the typical foaming shampoo and it only untangles when I’m using a conditioner (after using shampoo). Thankfully, this two-step procedure can be easily replaced with just 1-step using the Extraordinary Oil 3-in-1 Cleansing Cream. 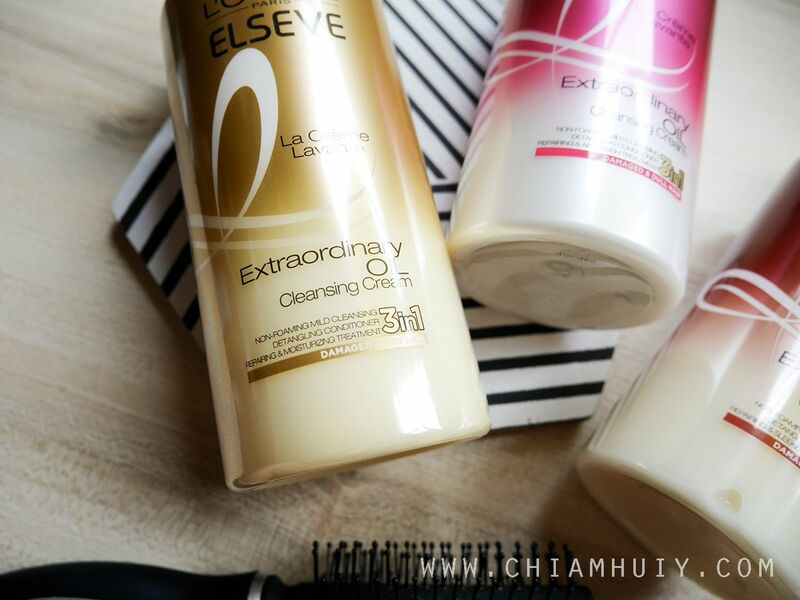 The texture of Extraordinary Oil 3-in-1 Cleansing Cream felt very much like a conditioner when I applied it onto my scalp and hair for the first time, it made me wonder if it really will work. 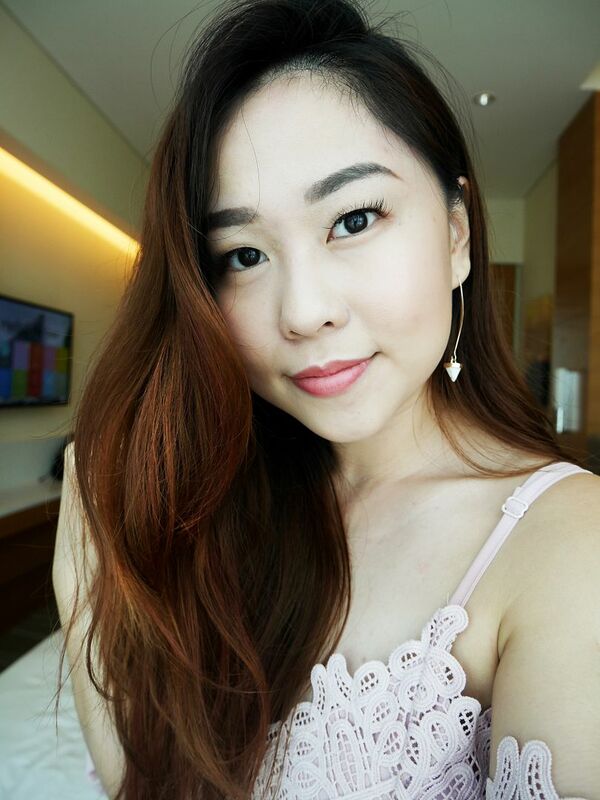 What really amazed me is that my hair feels smooth and manageable instantly from the very first application of the product, starting from the roots to the hair ends. 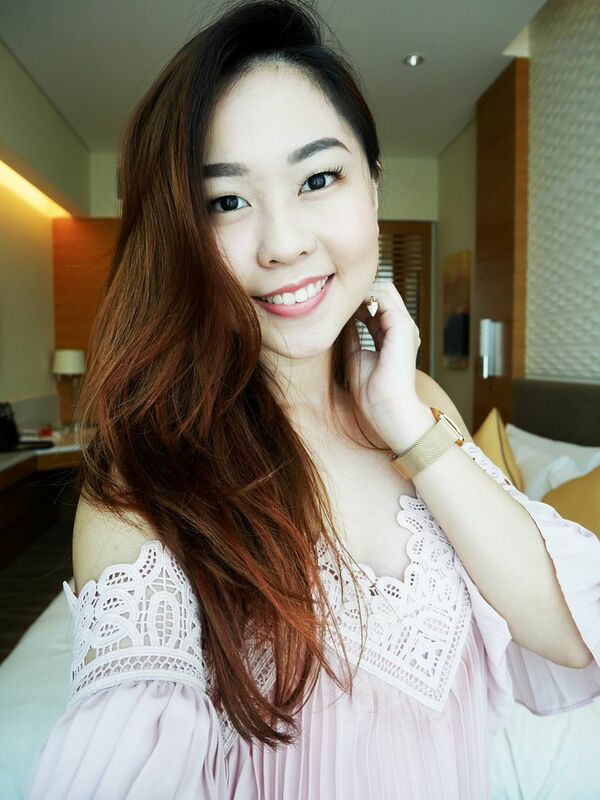 Not only do I get an effective cleanse on my scalp, my hair length is so much softer, smoother and more manageable than before, in just 1 wash! What does this Extraordinary Oil 3-in-1 No Foam Cleansing Cream do? Almost 1 in 5 people suffer from damaged hair, and this is partly due to the foam created from foaming shampoo. 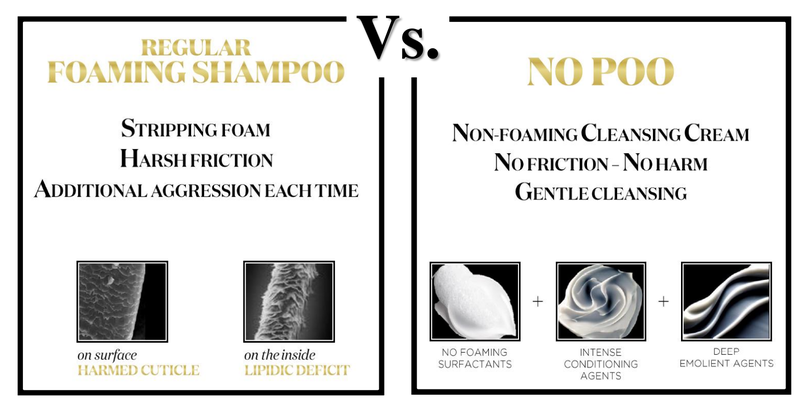 Did you know that foam from regular shampoo is very damaging to the hair? This is because foam creates more friction as you scrub your scalp and hair during shampooing, stripping your hair of its natural moisture. To reduce damage during hair wash, the new Extraordinary Oil 3-in-1 No Foam Cleansing Cream is specially innovated without foam. The added bonus of the Extraordinary Oil 3-in-1 No Foam Cleansing Cream is that it is infused with 3 Extraordinary Oils (Cleansing Oil + Conditioning Oil + Treatment Oil). 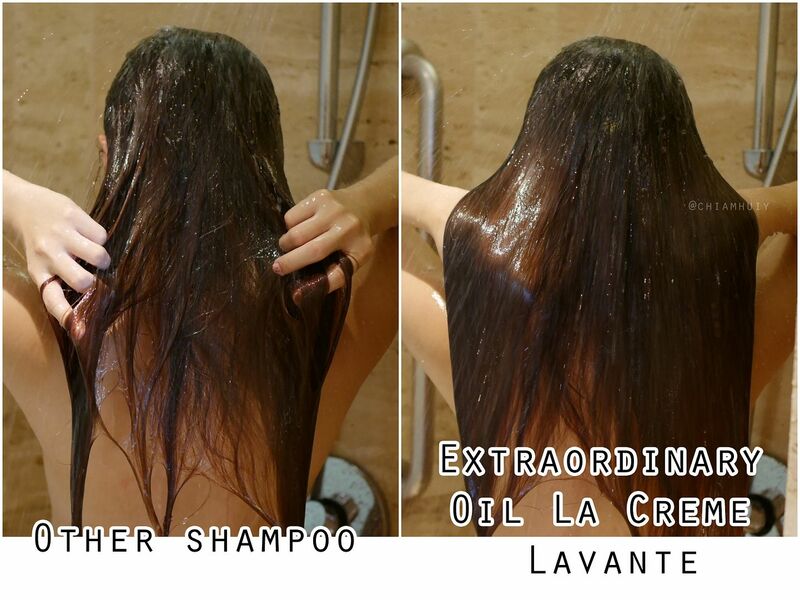 We have all heard of L'Oreal Paris Extraordinary Oil Treatment, it is actually one of my favorite hair treatment oils. Now that this is infused into the Cleansing Cream, I can be rest-assured that my hair will be well-taken care of. 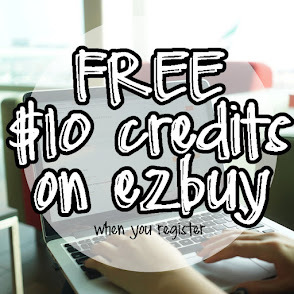 The 3-in-1 benefit is also great for go-getters and people with a hectic lifestyle. For those who find using multiple hair care steps (from shampoo to conditioner to rinse-off hair masks) to achieve beautiful hair is a chore, this is the perfect solution for you. PS: All these scents are award-winning iconic scents for Japanese women, and the pink one is specifically inspired by "Roses" by Chloe! 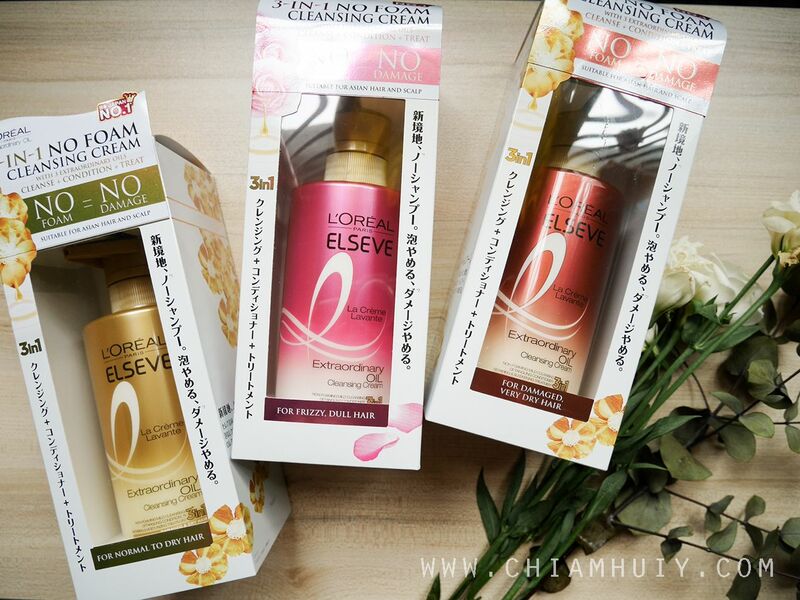 For the following photos, I actually put Extraordinary Oil 3-in-1 No Foam Cleansing Cream to the test. 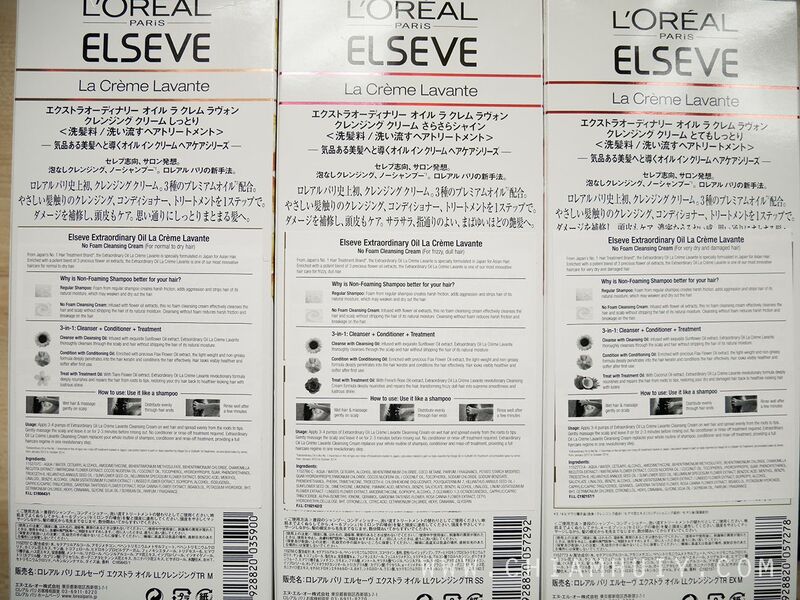 I compared it with a normal shampoo that I used to have, and here are the results. Before that, I picked the one for frizzy and dull hair (pink bottle). You can tell from the photo that I'm already half way through the bottle, which proves to you that I really use this product before doing this review, and I really like this product. I take about two pumps at the start, and will add another 1-2 pumps to add on more if it's insufficient. Using other shampoo, I get tangled hair WITHOUT FAIL. I can only untangle my hair when I go to the next step, which is conditioner. Thankfully, this two-step procedure can be easily replaced with just 1-step using the Extraordinary Oil 3-in-1 Cleansing Cream. 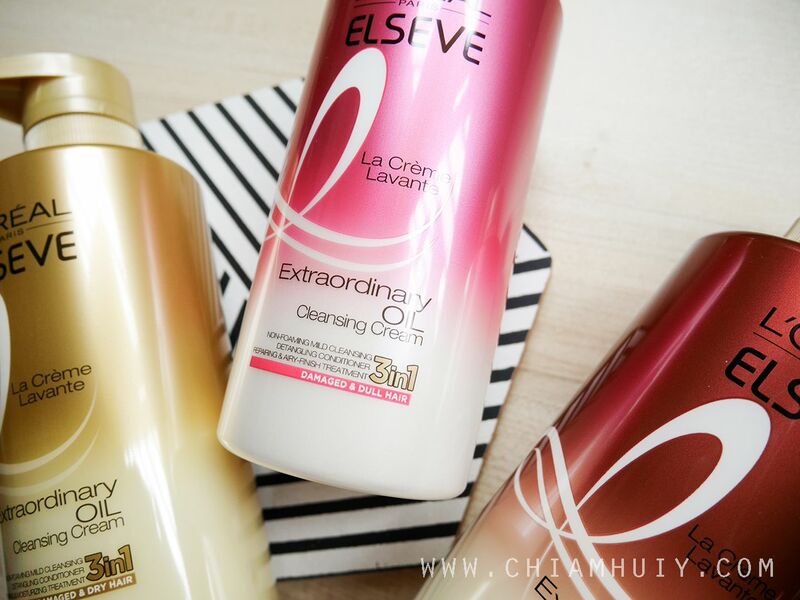 Note: Extraordinary Oil 3-in-1 Cleansing Cream is suitable even for the scalp! So I kid you not, by using no foam cleansing cream, it really felt like I have applied conditioner. Pictures do not lie, can you see how silky smooth my hair is? 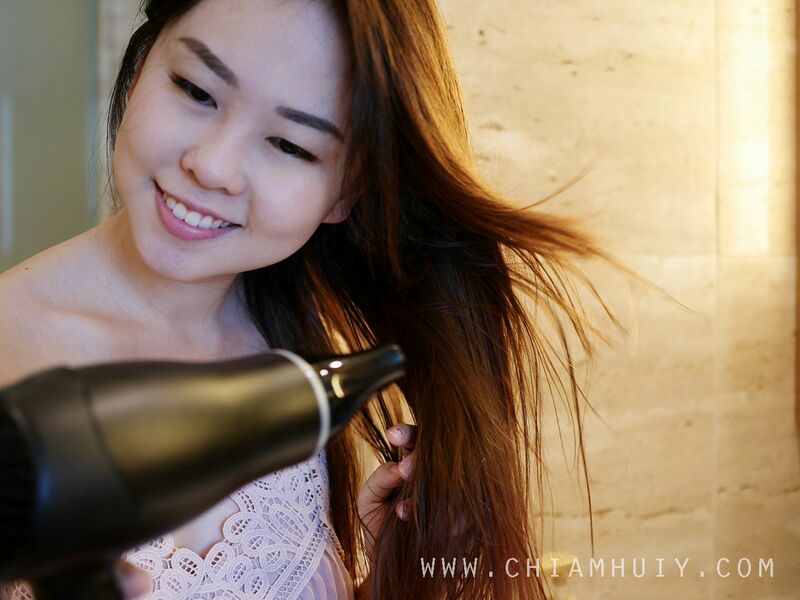 The only concern that most people might have with the texture is that it does feel a little thick and buttery (which is exactly the same feeling when you use conditioner), so it really depends on personal preference. For me, I like the texture and don’t find this a problem as long as my scalp feels deeply cleansed after I washed off the product from my scalp and hair. I'm really not joking when I say I am enjoying the simple hair wash step now. I just need to use one product and it's really easy and quick (plus, you can save water! haha). 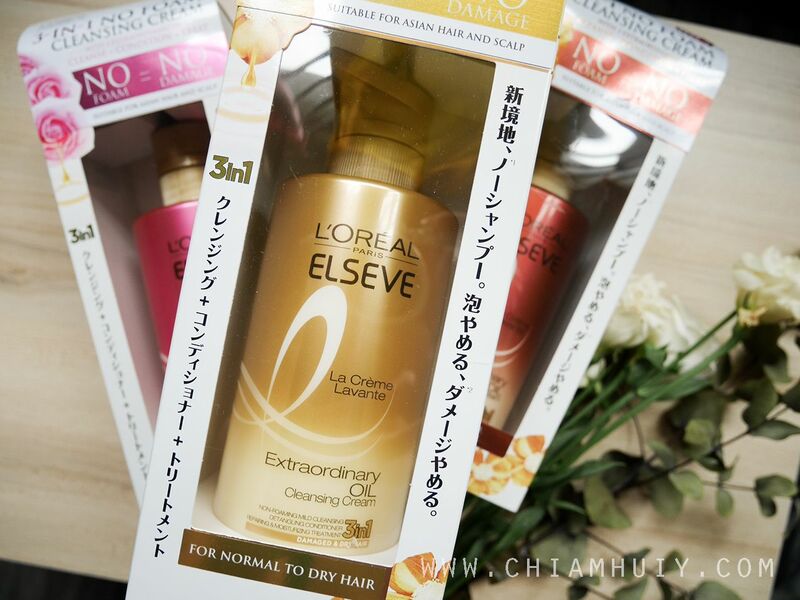 L'Oreal Paris Extraordinary Oil La Crème Lavante No-Foam Cleansing Cream is retailing at $21.90 each, available in all leading personal care stoes (like Watsons & Guardian) and Super/Hypermarkets. 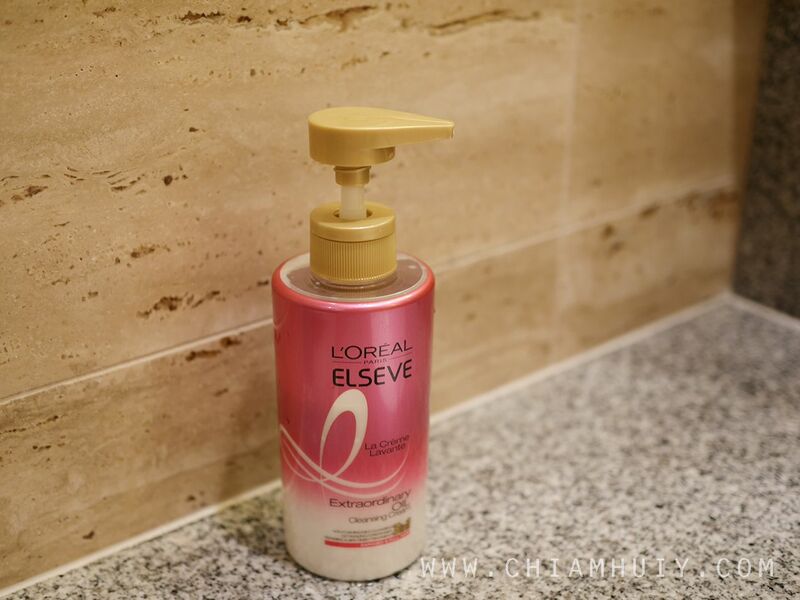 Now, would you say no to easier, fuss-free hair wash steps now?